I can’t quite believe it… but it’s time to shop online for Valentine’s Day. I know, I know! I’m one of those people who rolls my eyes when the shops start selling hot cross buns in January, and Christmas decorations in September… but in the online shopping world, we really DO need to be a month ahead of the holidays. Especially for our lovely international customers! 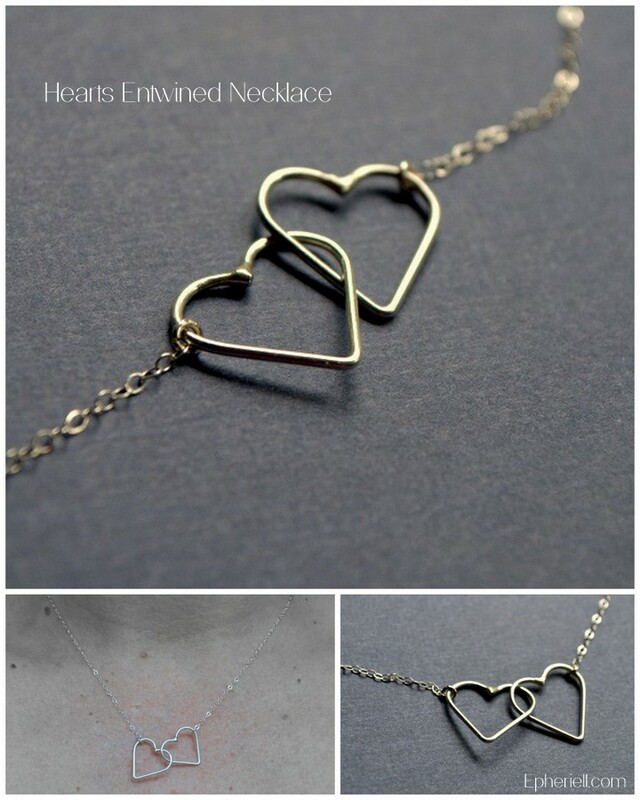 So, I thought I’d have a Valentine’s-themed special this week – the Hearts Entwined Necklace. A sweet, delicate necklace with two petite hearts twined together for eternity – such lovely romantic symbolism, and perfect as a Valentine’s Day gift. 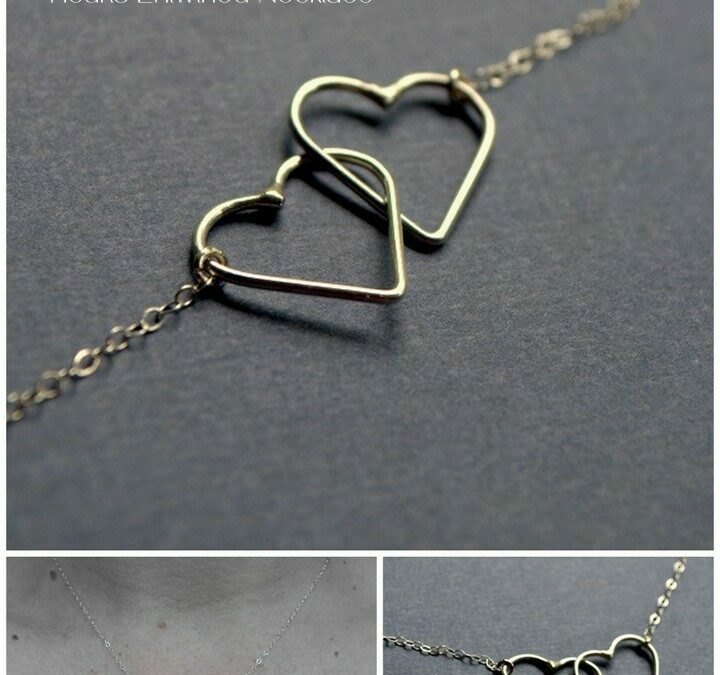 I think it could also represent the love between a mother and child, or two best friends (kinda like a grown-up version of those split-heart necklaces – my bestie and I had one as kids, did you?). The Hearts Entwined Necklace is on special this week only for $36 (normally $43). Right, it’s time for me to continue my Monday workday… I’m currently enjoying the massaging warmth of a foot spa – my tootsies haven’t quite recovered from my 11k run (and an extra 4k walk!) yesterday.